Our Central Indiana RV Resort welcomes you. Family owned and operated, we are a family campground, committed to making our home your home for a night, week, month or longer. We welcome your pets too... afterall, our four-legged friends need to getaway too. Please be good owners and familiarize yourself with our Pet Policies. With 200+ RV Sites, Heartland is Big Rig Friendly. Spacious RV Sites that are full hook-up 30/50 amp service as well and water/electric sites. We welcome seasonals and extended stay guets. Tent Sites are also available and we welcome small campers as well. So make your Reservations and we will see you soon! Make Heartland RV Resort your next gathering place. RV Rally Groups are welcome! 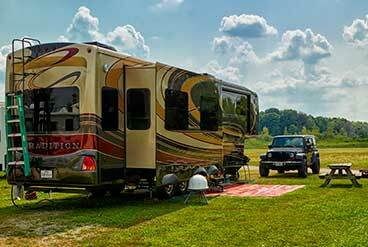 There are plenty of Big Rig RV Sites available, amenities to enjoy, and the location is perfect. 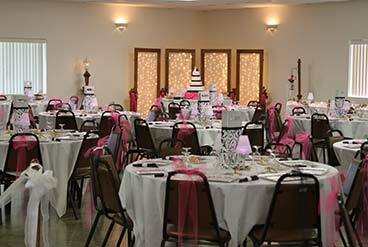 For outside Groups - Wedding Receptions, Family Reunions, Corporate Meetings, whatever your needs, Heartland Resort has the space. For smaller groups, there is a Meeting Room that will house up to 75 people. There are two Banquet Halls available for rent. The small Banquet Hall has a capacity of 200, while the large Banquet Hall - Club House - will hold 250. We encourage you to view these facilities. Call for more information and to set up an appointment. Pavilion - Open Covered Shelter with Picnic Tables for any sized group. Rental Rates: $150 + $6/person, Insurance, and Tax. 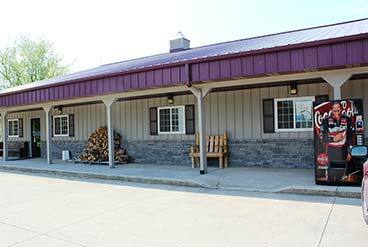 Heartland RV Resort is open all year for your traveling convenience. We offer many amenities, including 200+ Shaded Campsites, 146 are Full Hook Up, Pull Through RV Sites, and Tent Sites. Electric Service is 20, 30, & 50 amp. We offer Daily, Weekly, Monthly, and Seasonal Sites. Management is on premise 24 hours a day. A dump station is on site, along with LP Gas - Tank and Direct Fill. A Camp Store with RV & Camping Supplies, Ice, and Firewood are available. Laundromat on site. Pavilion and Banquet Facilities available for Rent. Contact us to make a Reservation or if you need more information.